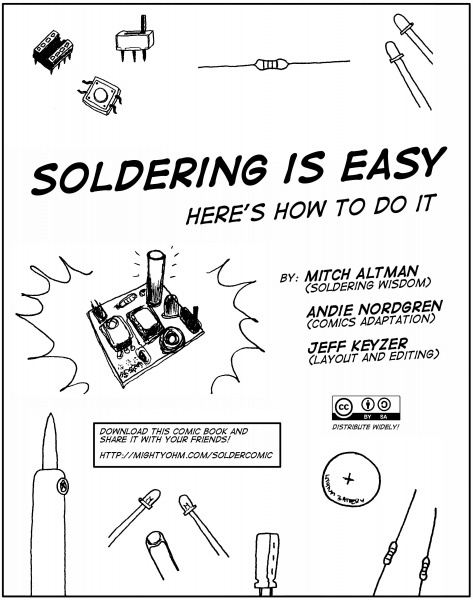 This comic describes how to do Plated Through Hole soldering in an easy to understand visual format. It’ll give you all of the basics of how to solder and the most effective techniques to use. It also explains what equipment you need to use and basic safety skills for a soldering project.